Relax. We make it easy! 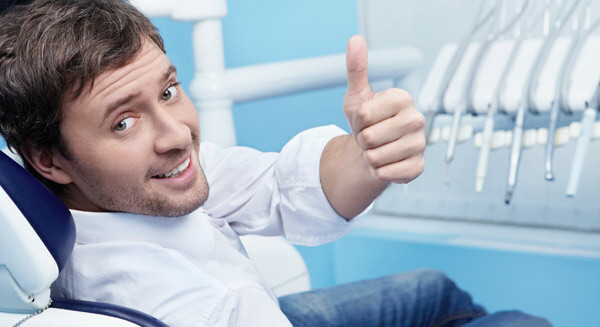 The dentist will perform a complete oral examination and discuss any treatment you may need. The examination can identify conditions as tooth decay, periodontal diseases, and even oral cancer. Teeth cleaning may be performed during your first visit or might be scheduled for a follow-up visit depending on the condition of your teeth and gums. Your first appointment will take between 1 and 1 1/2 hours. Patients under the age of 18 must be accompanied by a parent. To make your visit as pleasant and brief as possible, there are a few things you should bring with you. If you've had dental x-rays in the last six months, please bring them to your first appointment. If not, new x-rays will be taken only as necessary. With just a few simple forms, we’ll ask for relevant medical history, any medications you might be taking, your dental history, and any dental insurance coverage you might have. ​You’re coming to a office because you want to see a dentist, not be handed a clipboard. Make it easy and download all our patient forms in the comfort of your home. Simply complete the forms and bring them to your first visit. See? Things are already easier.